The 94 Piece Tool set is the perfect tool kit to have to around, it is designed to be multi-purpose so you can even use it on your Car, Van, Truck, Caravan, Motor home or even boat! As well as that it comes in a small compact case so you can easily store it once you have finished using it. 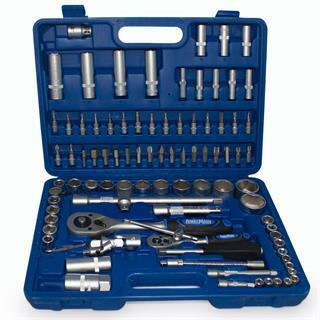 These tools are made from Chrome Vanadium Steel for strength and durability. professional grade quality.